Most journeys start at Amankora Paro or Amankora Thimphu. 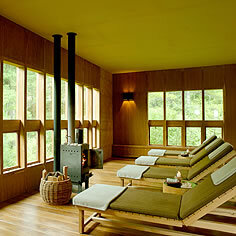 The lodge in Paro is nestled among glistening conifers in a 24-suite pine forest retreat. The 24 suites are similar in design featuring natural rammed-earth walls, gently sloping roofs and wood-panelled interiors with a traditional bukhari (wood-burning stove) and a large terrazzo-clad bath. The property raised up in a blue-pine forest of the Motithang area, sits close to the capital’s intriguing sights and traditional shops.Two dwellings house a total of 16 suites, featuring a combined living and bedroom that includes a king-size bed, a reading chair and a window banquette providing views across a landscaped courtyard or directly onto the nearby stream and pine forest. The traditionalbukhari is positioned between the bedroom and the bathroom. The spacious bathroom opens from the bedroom and provides a terrazzo-clad bath that enjoys a view through a vertical slot window. The suites are individually heated during the cold winter months. 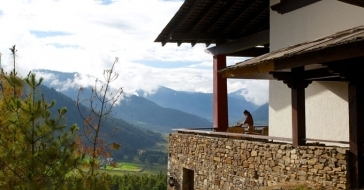 The resort is set in sparkling verdancy east of the Dochu La Pass and just north of the resplendent Punakha Dzong. 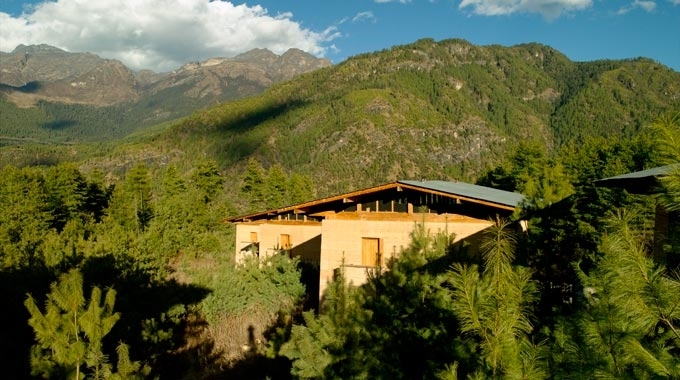 Eight suites, located in three rammed-earth dwellings, are situated in an orange orchard with views across the rice fields and back up the Punakha Valley. 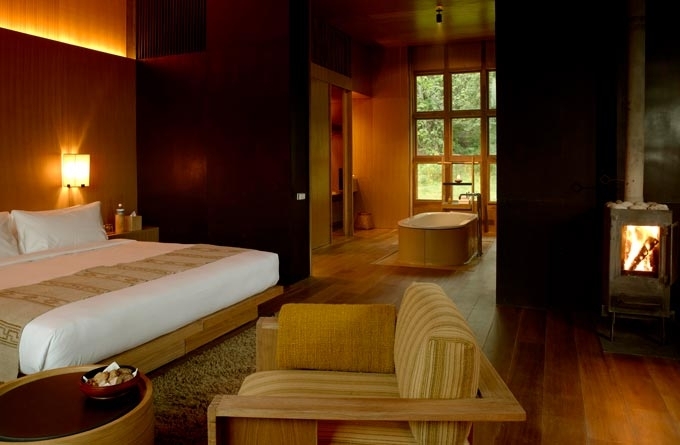 The suites are identical to the design of the suites at Amankora Paro, featuring wood panelled interiors, a traditional bukhari, king-size bed, terrazzo-clad bath, shower and vanities, and day bed. Suites are individually heated during the cooler winter months and air-conditioned in the summer months. Amankora Gangtey, set in the remote wilderness of the Phobjikha valley, offers magical views across the bird-strewn gorge and to the empowering Gangtey Goemba, a 16th century monastery. 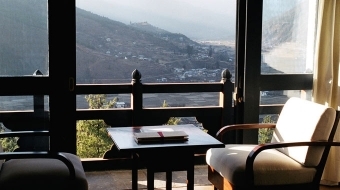 The eight suites are identical to those of Amankora Thimphu, offering an open plan bedroom and bathing area. The aesthetics combine wood panelling and chocolate brown walls, the traditional bukhari, terrazzo-clad bath, shower and vanity, and daybed offering views across the valley. Suites are individually heated during the cold winter months. 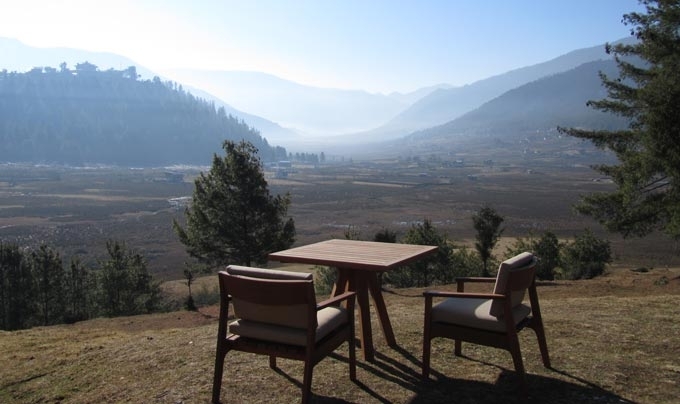 Amankora Bumthang rests adjacent to First and Second King’s palace, Wangdichholing, within the town of Jakar in the Choekhor valley, a valley sprinkled with an exotic mix of sloping pine forests, apple orchards, and restful fields of farm produce. Standard accommodations are included in your tour price already. For the guests who prefer even more comfortable rooms, luxury hotels are available in Paro, Thimphu, Punakha, Gangtey and Bumthang, upon extra payment apart from the package tariff. As Bhutan government do not allow visitors to travel freely without a tour guide, you may inform us your preferred hotel choices, and we will fit your choices in to the itinerary. • Price is inclusive of breakfast and 20% tax & service charge. • Surcharges and additional conditions may apply during high season and festival periods. • Charlotte Travel reserves the right to amend above prices and service without prior notice.